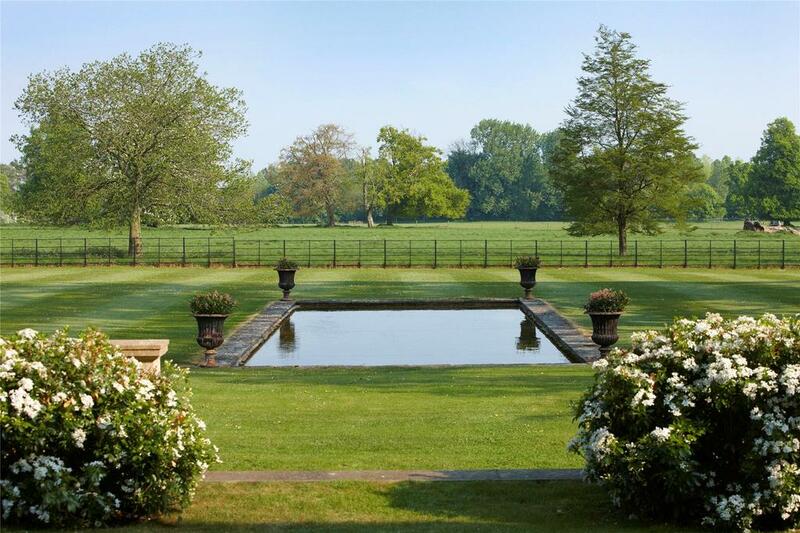 Bledisloe House is a picture-perfect Georgian house in the Cotswolds for sale at which all manner of works have been done – all that remains is for someone to move in and make it their home. Penny Churchill reports. Few country houses manage to mix imposing presence with charming grace as effortlessly as the Grade II-listed Bledisloe House, a wonderful Cotswolds property three miles from Cirencester. 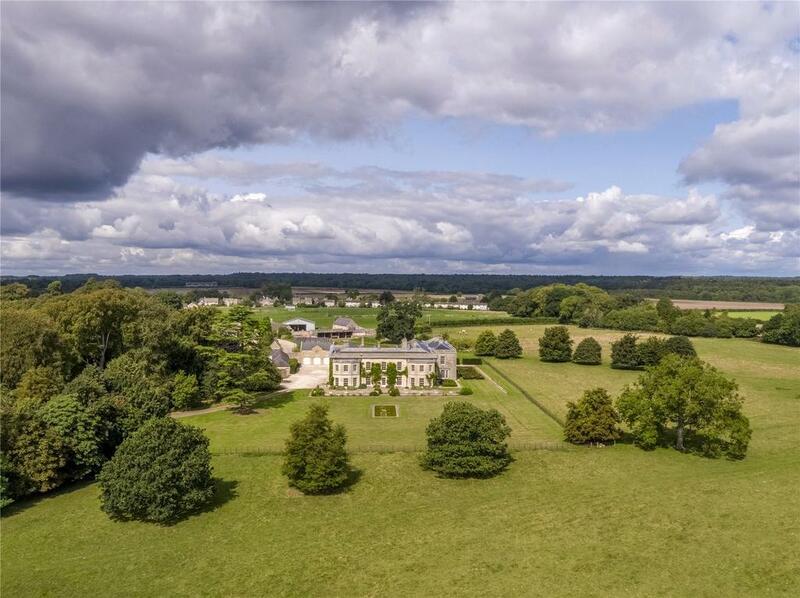 It’s set in more than 38 acres of landscaped gardens, parkland and woodland in a quiet rural setting on the outskirts of Coates – the ancient ‘village of sheep pens’ – and is priced at £9.25million through Savills. It was last sold in December 2011 with 36 acres of land for a reputed £7m, the house has seen its infrastructure – including the entire roof – largely replaced or repaired, in readiness for ‘the next stage of its evolution’, say Savills. The original Georgian country house was built in about 1798, when it was known as Coates Manor, and though there have been additions and changes that Georgian feel is still strong. 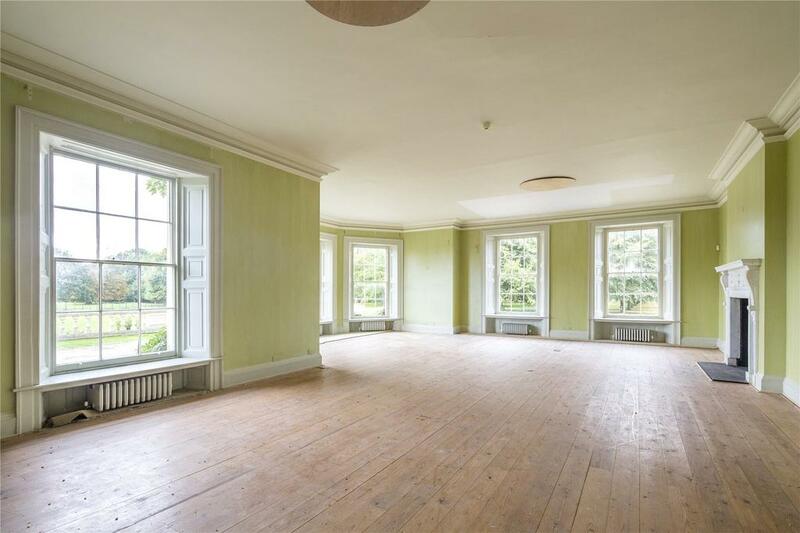 There are some splendid rooms, particularly the reception hall, four main reception rooms, a library, snooker room. There is also a study, kitchen/breakfast room, wine cellars, 12 bedrooms and 10 bathrooms – more than 20,000sq ft in all, including extensive staff quarters. 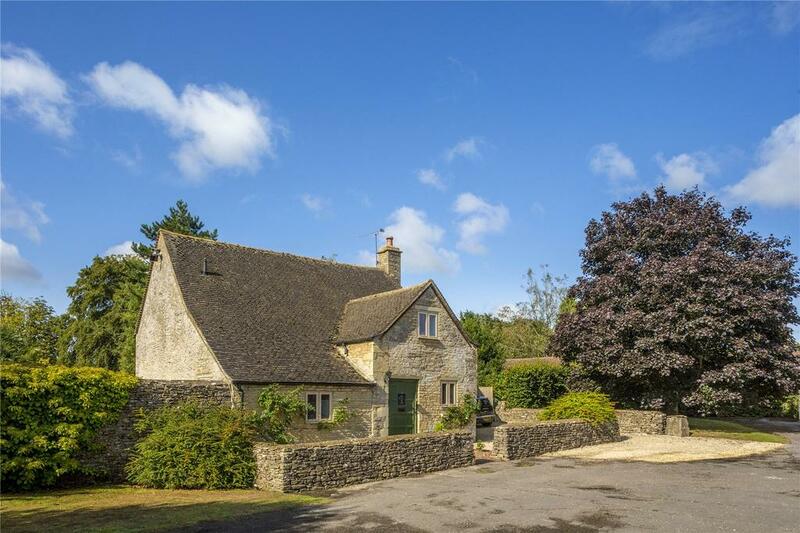 There is additional accommodation is available in a separate three-bedroom cottage and a two-bedroom coach-house flat. 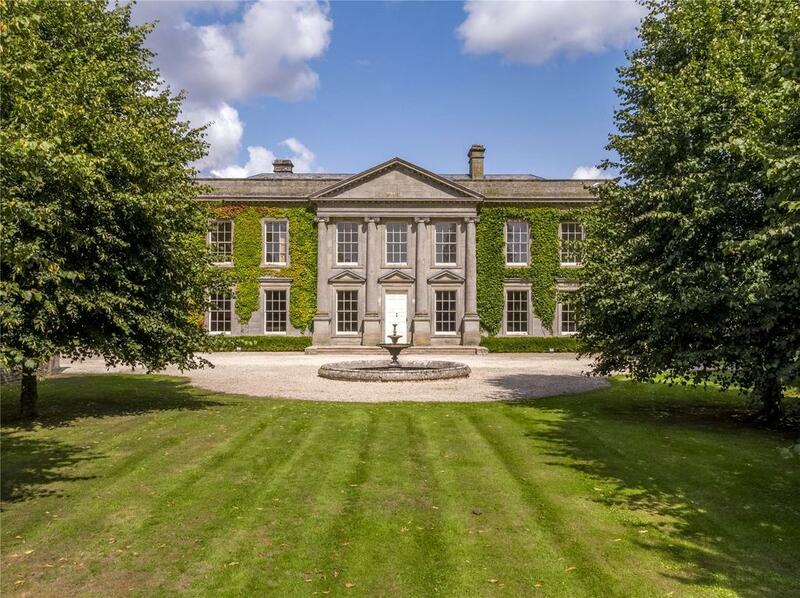 According to its Historic England listing, the house was significantly extended in 1919–25 using materials from Hams Hall, a grand 1760s house near Coleshill, Warwickshire, during which time it was worked on by Cotswold master-craftsman Ernest Barnsley. 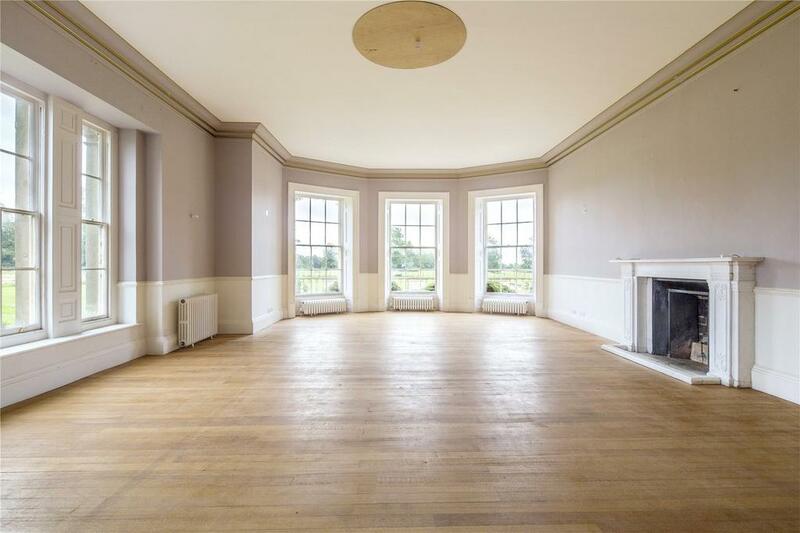 Renamed Bledisloe Lodge when it was bought by the Royal Agricultural College (RAC) in 1950 and, finally, Bledisloe House, the impressive country property, which also incorporates land and buildings of the RAC’s former Rural Skills Centre more recently acquired by the present owners. Bledisloe House is priced at £9.25million through Savills – see more pictures and details.